Florican Enterprises Pvt. 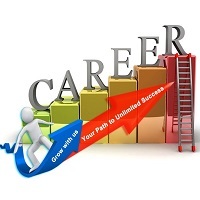 Ltd. is located in Navi Mumbai (Maharashtra, India) and is a propitious career consultant. Our career consultants are connoisseurs in this field and can provide the best assistance to the students and job seekers that are confused about their future profession. You can get the finest advice about the future profession by talking to our career consultants. They can assure your righteous aptitude for choosing & pursuing the apt profession. To turn to our career consultants, you need to contact us and speak your heart out. Your all queries will be resolved.